In reviewing early African-American history, the question is raised as to whether this period contributed anything, direct or indirect, to the development of the present day Muslim African-American Community? Or, is the present Islamic Community in America the primary product of later movements such as those of Noble Drew Ali and Elijah Muhammad in the mid-20th century? Or, is it the result of the impact of such indigenous movements and the assistance provided by the still later immigrant Muslim organizations such as the Muslim Students association of The United States and Canada and the Islamic Society of North America? Similarly, it is true that many immigrant Muslim organizations provided literature and guidance to the indigenous black movements as well as to individual African-American Muslims who so0 desired it. But the opening of the hearts and the minds of African-Americans on such a large scale to this literature and guidance despite the widely prevalent negative view of Islam in American Society at large, including the Afro-Christian Church, was due to the African-American perception that their entire history had perhaps once been Muslim and that it had deliberately been forgotten in order for the race to survive. Hence, while we feel that all three of the above mentioned factors played crucial roles in the evolution of present day African-American Muslim communities, we chose in this short article to focus on the factor that bears historical primacy: the earliest period of African-American Islamic history in the United States. Further, in the Treatise on the Patriarchal Form of Society, Z. Kingsley describes meeting Bilali, a contemporary of “African Tom”, and a second African-American Muslim leader in the same region. Kingsley cites two instances south of Charleston during the American Revolutionary War where Bilali prevented Muslims from deserting to the English. As Bilali is reported to have graduated from the Maliki School of law in Timbuktu before his capture, his writings, and, in particular, his so-called diary, written in Arabic on Sapelo Island, Georgia, which in 1973 was in the Georgia State Library in Atlanta, aroused keen interest among Anthropologists. So much so that Joseph Greenberg, a scholar from Northwestern University translated it in 1939, and visited northern Nigeria under the auspices of the U.S. Social Research Council and spoke with certain educated Malams in Kano, Nigeria. There Greenberg claimed to have discovered that most of Bilali’s writings quoted the important Muslim legal work, The Risala of Abu Muhammad Abdullah Ibn Zaid Al Qairawani. In notes on North Africa, the Sahara and the Sudan by anthropologist and author W.B. Hodgson, a complete letter from James Hamilton Couper of Hopetown Plantation, Georgia, was quoted. The letter stated that the Muslim leader “Bil-Ali” was an intimate friend of the Muslim leader African Tom, the former having been born in Timbuktu, and the latter near the Niger River between Timbuktu and Jenne (also spelled Djenne or Diena). In a 1901 issue of The Southern Workman, editor Georgia Conrad described in “Reminiscences” her meeting with Bilali in 1860: “On the Georgia Coast, near Darien, I used to know a family of Negroes who worshipped ‘Mohamet’. They were tall and well-formed with good features. They conversed with us in English, but in talking among themselves, they used a foreign tongue. The head of the tribe was a very old man called Bi-la-la. He always wore a cap that resembled a Turkish Fez”. In Seeds Sown in Georgia, Charles Wylly wrote that enslaved Muslims of Moorish or Arabian descent living on the Georgia Coast under the leadership of Bilali, turned to the east three times (?) a day to pray to “Allah”, and added that when Bilali died, his Quran and praying sheepskin were buried with him. In 1942, Mrs. Lydia Parrish, a southern school teacher and author of Slave Song visited Georgia where Bilali’s great grand-daughter Katie, confirmed that Greenberg’s conclusions that Bilali had been captured when he was still a teenager, and brought to Georgia from Africa. Bilali had eight children, she said: Margaret, Hester, Cotty, Fatima, Shad, Nyrrabu (or Yarrabuh), Medina, and Binty (in Arabic, meaning my daughter), all of who spoke their native tongue, the local African-American language (Gullah), as well as English, while all but the youngest child also knew French. Bilali’s daughter Margaret was Katie’s grandmother. Both were Muslims; apparently Katie remembered her own Muslim prayers and portions of a Quranic surah (chapter) which Bilali and his wife repeated when they “got down flat to pray”. Katie particularly recalled the rice balls, a ceremonial food, which the children were given at sundown on a certain but unnamed fast day (probably Ramadan). Katie gave her recipe for making the rice balls: “Ah gets a peck of white rice from Darien”, she said. “an soaks it overnight. In the mornin’. Ah drains off the surplus water and puts the rice into a well-washed moutar, then sets the bigger children to beating it. When it is fine, ah adds enough white sugah, my grandmother used syrup if she couldn’t get sugah, to make it taste like white loaf sugah candy. Then ah rolls the paste into balls the size of small fowl’s eggs and puts them on the fanner to harden. Katie further explained that when the children lined up to get their rice balls or “sarika”, their grandmother inspected their hands, and finding one whose hands were not clean, sent him away to wash while the others stood waiting. Then, as she handed the “Sarika” to each child, she said “Sarika-dee” or “Ahme”. The meaning of these words were not unknown to Katie, but she felt they probably had a religious significance. This account of meeting a practicing Muslim from early African-American tradition in 1942 is interesting because it meant that there were practicing Muslims in Georgia long after Noble Drew Ali left this area for Chicago, and even after the Hon’able Elijah Muhammad left Georgia and met Fard, Around 1930. Could there by some connection between the mysterious Fard Muhammad who instructed Elijah Muhammad, and the descendents of the early Muslim community? Scholars admit that almost nothing is known about the life of Fard Muhammad not even his origins. Could Fard Muhammad (like Father Divine, Noble Drew Ali and daddy Grace) have also come from the Carolina and Georgia coastal regions? Is the ease with which he was able to communicate with the African-American psychology because he himself was an African-American Muslim? Why did he, while in Detroit, choose to deliver his message to Elijah Muhammad, who had been born in Georgia? 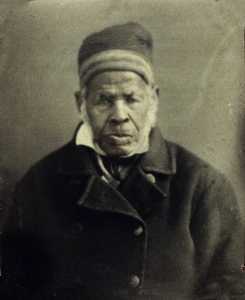 Today, when we observe the area where Muslim Imams like African Tom and Bilali lived, the South Carolina and Georgia coastal region (also the region from which 95% of all African-Americans originally began their sojourn in the U.S.) we find that the only African-American which came into existence among the enslaved Africans awaiting transportation to America is still spoken today in altered form by about 250,000 African-Americans, almost all of whom are now Christian, although not closed to Islam. Until recently (1998) they were ashamed to speak their African-American language, but with the assistance of an Anglo-American professor and linguist, Mrs. Pat Sharpe, and the African-American activists, Reverend Erwin Geane and Mr. Ron Daise, a project was begun in 1988 to translate the Bible into the African American language called Gullah. According to the Boston Globe, May 31, 1988, “since the translation team started its work several years ago, a tremendous interest in Gullah has developed among educators and Gullah speakers. The American city of Beaufort, S.C., now organizes a Gullah Festival each spring to celebrate the history, culture and traditions of these African –Americans”. As we have seen, an important part of this history and tradition was influenced by the resistance and traditions of the earlier Muslims; however, unlike the festival in honor of Zumbi in Bahia, Brazil, no mention of Islam or the Muslims such as “African Tom” is a part of this purely Christian oriented celebration. This African-American language (Gullah) was initially developed by the enslaved African Muslims and non-Muslims in Senegal to facilitate communications among the various African tribes. It was brought over to the coast where, among other things, it permitted the Muslim and rebel leaders and Imams to communicate with other enslaved Africans. Today it is said to be a Creole language combining elements of about 25 West African dialects and English. There is no research yet done to determine if it also carries traces of Islamic or Arabic influences. Perhaps we can best summarize by saying that the first Muslim community in the U.S. was brought from Africa to serve as slave labor, and provide the psycho-socio-economic incentives permitting large numbers of Christian Europeans to immigrate and develop an inhospitable and distant land. The major portion of the lives of this Muslim ummah was spent in revolt against the slavery for which they and the other Africans were brought. They often lived as marauders on small islands on the coast of South Carolina and Georgia. When they were captured, they were either killed, or tortured, and forced to forsake their Islamic practices and accept the Christian teachings of that period (one of which was that they were created by God to be slaves of the colonialists). Eventually most of this community was exterminated or forcibly converted to a hybrid form of Christianity (Afro-Christianity) that was taught and developed by those Africans who had submitted to slavery with the hope of developing Afro-Christianity as a way of submitting to the practice of slavery while promoting christianization and Anglo Americanization as the means to achieve freedom. This same philosophy was emphasized by the African-American educator of a later period, Booker T. Washington, who is well known for his statement that African-Americans “must stoop to conquer”. This also became the philosophical basis for promoting submission to almost any form of oppression long after slavery up until the late 1950’s. This is the Afro-Christian philosophy that outraged W.E.B. Dubois and led to his establishment of the Niagara movement for equality. Naturally, this Afro-Christianity stressed that it would be by becoming good Christians and adopting or imitating Anglo-American culture, while ignoring and downgrading all things African, that God would find the African fit to be free from Anglo-American enslavement by changing the heart of the Anglo-American ruling elite. All records indicate that while this early Muslim community existed (ignored by most American scholars of the period as well as by most later American historians), it counted for approximately 20-50% of the African-American population. Given the fact also that the population of the states of South Carolina and Georgia at this time was approximately 80% African-American, and that 90% of all African-Americans can trace their heritage to this region, the loss of this first Muslim community was no doubt a serious blow to the true potential development of all African-Americans. Also the Muslim community included some scholars and learned individuals who spoke and wrote several languages including Arabic and French. However, they were for the most part lost to the African-American community. Historians State that many of those Black-American Muslim scholars were not killed were taken to England and France and used to help translate the Arabic Islamic knowledge into English and French. This earliest Muslim community in the U.S. should be remembered for its strong devotion to Islam under conditions of almost certain death for so doing. Where possible, they prayed five times a day, selected imams from among themselves such as those known to the Anglo-Americans as “African Tom” and “Bilali”; the real names of these imams have not yet been researched. The Muslims and other Africans of this area, like many of their direct Christian descendents today (the Gullah) were independent farmers, fishermen and hunters. They sold their goods in the U.S. as well as in the Bahamas and West Indies. Many of their descendents were able to maintain themselves this way in almost complete isolation up until 1960. They had large families and would often give their children both a Muslim and an African name as well as an Anglo-American name. Due to the hostility of the Afro-Christianized church as well as the Anglo-American community to the use of African and particularly Muslim names, the African and Muslim names became nicknames by which the individual was called by his family or known only in his community, and thus were gradually discontinued. There is little additional research conducted on the way Muslim marriages and funeral arrangements were handled, except hearsay passed down by word of mouth. One such hearsay is that at funerals, everyone was given candy to eat to denote the sweetness and joy of returning to God, similar to the manner taught by Elijah Muhammad to his followers. While there is a large amount of research done on the customs of enslaved Africans in general, there is little available data on the particular culture of the African-American Muslims. From our limited effort, we believe that such data will be available through first hand field investigation, and hope that this paper will serve to inspire such efforts by other Muslim scholars. In guise of concluding, it is clear that the North American policy towards the earliest Muslim community amongst the enslaved African-Americans was one of unmitigated aggression. Nevertheless, it is clear that the cultural remnants of these early Muslim communities are presently undergoing a revival of sorts, after years of continuous institutionalized attack on what remains of their culture. However they are yet to a significant extent isolated both from the larger Muslim and Christian communities in the U.S. as well as from those abroad. What is more pertinent, however to scholars of Muslim minority studies, is that the original Muslim minority lived through very difficult times. Not only was its personal and economic freedom curtailed as is implicit in the term “slavery”, but this minority’s religious and cultural identity was also obliterated. American majority culture through its institutions of socio-political control particularly over the writing and interpretation of history has persisted in referring to all enslaved Africans as simply “slaves” -as if they had no prior history or culture. Indeed, one of the most successfully received justifications of this slavery was the concept of “The White Man’s Burden”. Thus the historical recognition of the existence of a community of enslaved Muslims of Islamic culture (which was assuredly as developed and civilized as any other great world civilization) would serve to intensify awareness of the tragic enormity and real meaning of the institution of slavery. It was in 1967 after I had enrolled in College that I first began my research into the African-American Muslim phenomenon. It began after having read the following article by Prof. Morroe Berger that I my curiosity deepened. The burning question that I mention in my paper (African Muslims in America: Free /Slave and Amnesiac) “Where are the Muslims”? I had always had a strong premonition that there was more to the story than was known at the time. My parents are from that area of South Carolina and I remember particularly when my uncles would come to visit us in Boston that a whole new and different way of speaking took over during the eating and drinking sessions in the kitchen. The language and the expressions were refreshing and intelligible by me as a young boy and interspersed with these festive Eating and Drinking sessions my adopted Somali Uncles would come -and there was a strong similarity between body language as well -as if a family long separated were brought together and were celebrating “The old Ways”. I have often been asked how or why did my father and mother initiated such a strong relationship with African Muslims during the Great Depression (1920-1930’s) Many people used to ask me: “What do you guys have in common with those BLACK Africans with scars on their faces”? After reading Mr. Kly’s well written paper many times and meditating on C. Eric Lincoln’s statement concerning “The Islamic memory” – the pieces began to fall into place. My visit to The Sea Islands in 1994 was filled with strange and unexpected experiences. While visiting the City of Savannah and the City of Beaufort a great smothering sadness took over me, it was if I couldn’t breath -the air was snatched away from me and I began to weep profusely -I begged my cousins, who had just recently relocated back to Charleston and John’s Island to “Get me out of Savannah”. I could feel the African presence so strongly -it came out of everywhere and everything -I could feel the pain and the suffering and from time to time I thought that I could hear a multitude of Voices -moaning and crying. It happened while driving through Savannah and Charleston and while walking along the docks of Port Royal. Also when I was walking along the docks of Port Royal, an old Brown Pelican came and walked beside us as we strolled along the manmade jetty. A couple approached us and the woman looked quite familiar to me -she was staring at me and I to her. We exchanged greetings and I asked her if I knew her -after a short guessing game she informed me she had been one of the locals that was reqruited by Julie Dash during the filming of Daughters of The Dust. We talked about the film and its impact on the local people, I informed her that I had known Verta Mae Grosvenor in New York City and had been interviewed by her several times during the 60’s when she was doing her research on Black Women Domestics for a sequel to Vibration Cooking (Tales of a Gullah Girl). The lady then looked through me with a very far away look in her eyes and told me that I would return to these Islands – there was something here for me. That I was needed there – that the spirits of my ancestors were there. She later invited me to visit her on Ladies Island, where there was still an opportunity for an interested person to buy a piece of the land -which was rapidly being scooped up by the White land developers. Suffice it to say those experiences had a strong effect on me. To the effect that I have moved to the Carolina’s and spend half a year in Africa each year and half a year in the Carolina’s. Home is definitely where the heart is. Al-Hamdullillah! I have also embarked on some of the research suggested by Mr. Kly in his wonderful paper. 1. Eric C. Lincoln, The Black Muslims of America, Alcove Press, 1973. 2. Gerard Challiand, Revolution in the Third World: Myths and Prospects, New York: Viking Press, 1977. 3. W.E.B. Dubois, The Suppression of The African Slave Trade to the U.S., 1638-1870, New York: The Social Science Press, 1954; Hans Heinz Jalen, Muntu, New York: Grove Press, New York, 1962. 4. Lectures at the home of Sheik Malik Benabi, Universit d’Alger, 1971-1973. 5. Writers workshop, Drums and Shadows, Atlanta University of Georgia press, 1942. Also discussions with my mother’s aunt, Zaphia, who was born in Senegal captured and enslaved in South Carolina. Also see Harvey Wish, Slavery in the South, New York: Farrar, Straus and Company. 6. Basil Davidson, The African Slave Trade, Pre-Colonial History 1450-1850, Boston: Little Brown, 1961. 7. Z. Kingsley, Treatise on the Patriarchal Form of Society or Coorporative System of Society as it exists in Some Governments and Colonies in America and in the United States under the Name of Slavery with its Necessity and Advantages, University of Georgia, 1829. 8. Drums and Shadows, op. cit. This candy was being made by large numbers of African-Americans throughout the southwestern U.S. as late as 1954. It was called rock candy in other regions of the South. 9. Sources: Kingsley, op. cit. ; Lydia Parrish, Slave Songs, New York: Creative Age Press, 1942; Essien Udom, Black Nationalism, New York: Dell, 1970; Charles Whylly, Seeds Sown in Georgia, New York and Washington, D.C.: Neal, 1910. 10. Essien Udom, op. cit. 12. 20-50% of the enslaved Africans brought to the U.S. were Muslims from Muslim areas of Africa. Also see Muntu, op. cit…. Eyewitness reports of the region where 90% of the enslaved Africans were brought suggests that half were Muslim. (See Sir Charles Lyell, 1787-1875). These figures were derived by logical speculation from the information given in this article. However, actual figures can only be ascertained through field studies, which have not yet been done. 13. John E, Blassingame, The Slave Community, Oxford University Press, 1972. 14. It was in 1960 that the first bridges across the marshes to the most isolated sections of this area were completed. Y.N. Kly, local Oral History of The South Carolina Coast, Field Trip Report to Benedict College, 1970. 15. In the experience of the author, some individuals in this community were known only by their Muslim names until they began school. 16. In his book Porgy and Bess, Duboise Heywood describes Porgy and his local community as having a posture, language and way of life often associated in the American mind with the Orient or Islamic culture. However in the more popular opera by George Gershwin, standard English was substituted, and no actors from the region were used. Heywood had gone to live in the area for two years in order to write Porgy and Bess. In the foreword to his book, he referred to Porgy as an Oriental and to his language as absolutely Oriental. 17. Erin MacLellan, Preserving the Gullah (African-American) Language, Boston Globe, May 31, 1988. 18. See Diana G. Collier, The Invisible Women of Washington, Atlanta: Clarity Press.